Whoa! We hit the ground running today! After briefly meeting my awesome 20 we skeedattled to the gymatorium for a welcome assembly. We learned some vocabulary with First Day Jitters, took a phonics assessment, decided on our rules, learned some procedures and found out what a mathematician is and wrote about our first day! 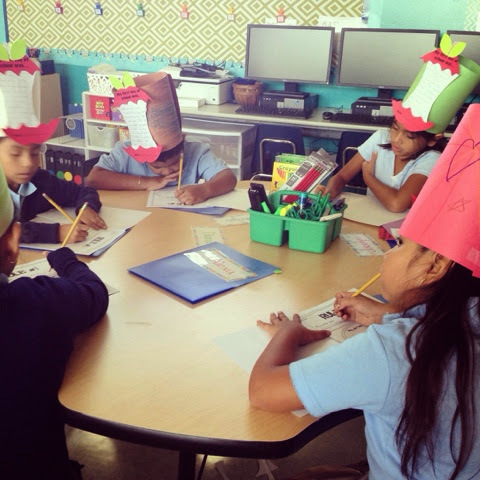 And then we turned our writing into a snazzy hat!